In matters of life and death, single moments matter. Automated external defibrillators (AEDs) are an important lifesaving technology that can increase the chance of survival for those who suffer heart-related emergencies, such as a sudden cardiac arrest (SCA). 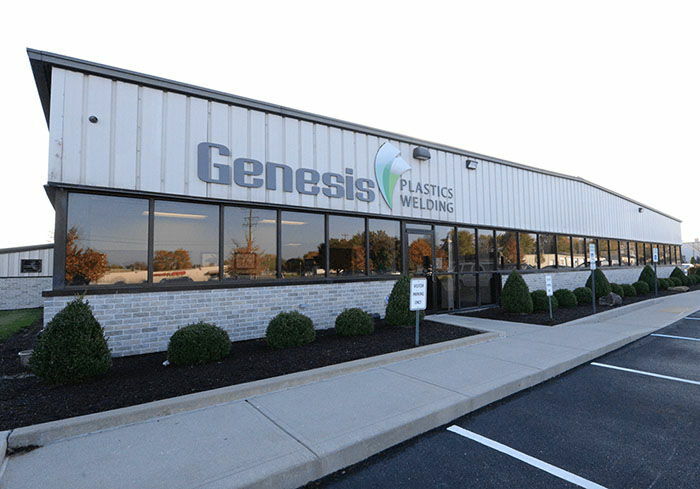 Genesis Plastics Welding is proud to have an AED unit joining its Indianapolis-area advanced manufacturing plant. A cardiac arrest occurs when the heart unexpectedly stops beating. It strikes people of all ages, even children and teens. When it occurs, the individual collapses, doesn’t respond or breathe normally. They may gasp or shake. A cardiac arrest can lead to death in minutes, if the individual does not get help immediately. Survival depends on bystanders calling 911, starting CPR and using an AED, if available. An AED is a lightweight, battery-operated, portable device that checks the heart’s rhythm through an internal microprocessor and sends a shock to the heart to restore a normal rhythm only if it is needed. If the individual does not need the shock of an AED, the machine will not deliver a shock. An AED uses visual and/or audio prompts, and has a battery life of 2-5 years depending on the manufacturer of the device. “I strongly believe all places of employment should have an AED unit on hand, especially rural facilities” said Tom Ryder, president and CEO of Genesis Plastics Welding. The power of rapid intervention through AEDs was brought to the attention of Ryder a few years ago through local Hoosier Jeff Utzinger, who suffered a SCA during his routine daily run in June of 2017 and fellow friend Kevin Klee. Due to rapid CPR intervention and 911 call of a passerby Bill Schlies, along with the AED preparedness of the on-scene police officer, Utzinger survived to tell his story and advocate for increased AED accessibility and SCA awareness. Leading Cause of Death in U.S.
Did you know SCA is the third leading cause of death in the U.S. and kills 356,000 people of all ages and fitness levels? The American Heart Association estimates that at least 40,000 of those lives could be saved with the rapid intervention of CPR and an AED used within the first five minutes. Inspired by Utzinger’s story, Klee, an advisor with Insperity, a local human resources and business solutions provider, decided to personally donate an AED to each new client he gained. This spring Genesis Plastics Welding will be adding an AED unit to its Fortville, Indiana medical device manufacturing facility through the generosity of Klee. Call 911 and follow dispatcher instructions. Start CPR as advised by dispatch.